Fishing World - 05.2019 » Download PDF magazines - Magazines Commumity! 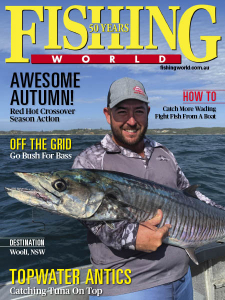 Fishing World is your 'sport fishing bible' and Australia's most respected fishing magazine. Fishing World, Australia's premier fishing magazine, was founded in 1969 and has become known as the "sport fishing bible". Fishing World is associated with many cutting edge angling developments including light tackle game fishing, land based game, jigging, lure fishing, salt water fly fishing, small boat fishing and tropical sportfishing.